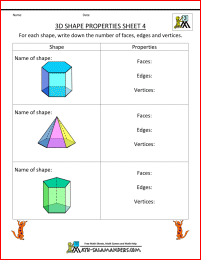 Welcome to the Math Salamanders 3d Shapes Worksheets. 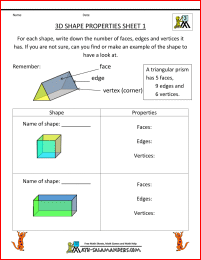 Here you will find our range of free Shape worksheets which involve naming and identifying 3d shapes and their properties. 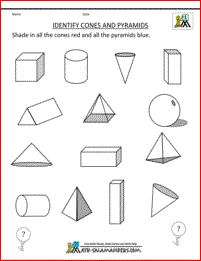 There are a range of worksheets at different levels, suitable for children from Kindergarten up to 3rd grade. 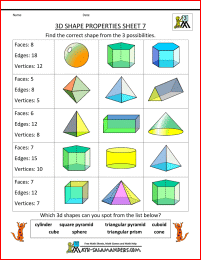 identify different types of 3d shapes e.g. cones and pyramids. 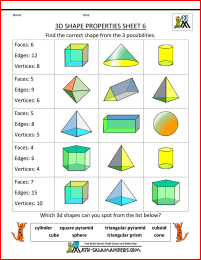 identify and name specific 3d shapes, e.g. square-based pyramids, triangular prisms. 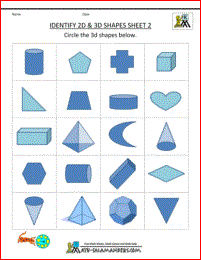 identify the shapes making up the faces of 3d shapes. 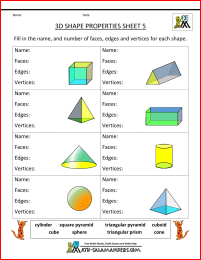 All the free geometry worksheets in this section support Elementary Math Benchmarks. 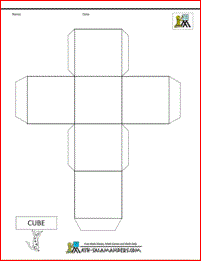 If you are looking for some different geometry worksheets, such as symmetry or 2d shape sheets, try one of the links below! We hope you manage to find what you are looking for...rememeber if all else fails, try the search box at the top of the page! 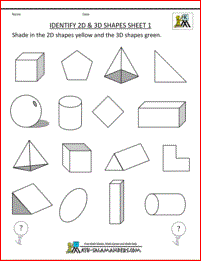 Here you will find our free printable geometry riddles from 1st to 5th grade. 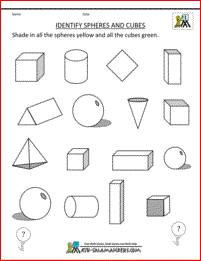 These riddles are all about problem solving with 2d shapes. apply their geometric knowledge to solve problems. 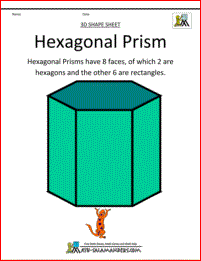 All the geometry riddles in this section support elementary math benchmarks. 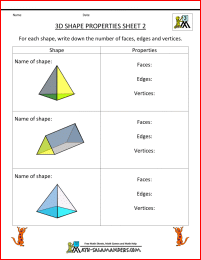 Here you will find a selection of 3D shape sheets designed to help your child learn their names and properties of 3d shapes. 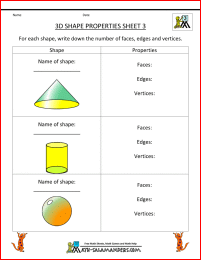 All the free printable shape sheets in this section support Elementary Math benchmarks.